You may not recognize the North Texas of today compared to the North Texas of 10 years ago. Our region has undergone and continues to experience rapid growth, in terms of both population and economic activity. It’s not just the number of folks who want to live here that’s changing. North Texas’ economy is expanding and growing. Oil and gas is just one of many industries thriving in our region. Aided by our commerce-friendly policies, access to a skilled workforce, and land availability, industries like technology, telecommunications, and finance are making North Texas their home. Public transportation will help sustain the growth of these industries and connect them to a larger workforce pool. Growth in workforce means more growth and flexibility in travel options are essential. DART is working to increase capacity by connecting more people to their places of work, as well as nightlife, commerce, and educational opportunities. A robust transit system will ensure North Texas remains a culturally and economically vibrant place for all. The U.S. census shows the Dallas-Fort Worth area is the second-fastest-growing metro area in America. Population is expected to increase by 36 percent, more than 3 million, by 2040. How does our transit system contribute to our economic development? DART services have already contributed to the growth of vibrant, mixed-use neighborhoods across Dallas and the surrounding area. and DART Rail fits really well in that world. 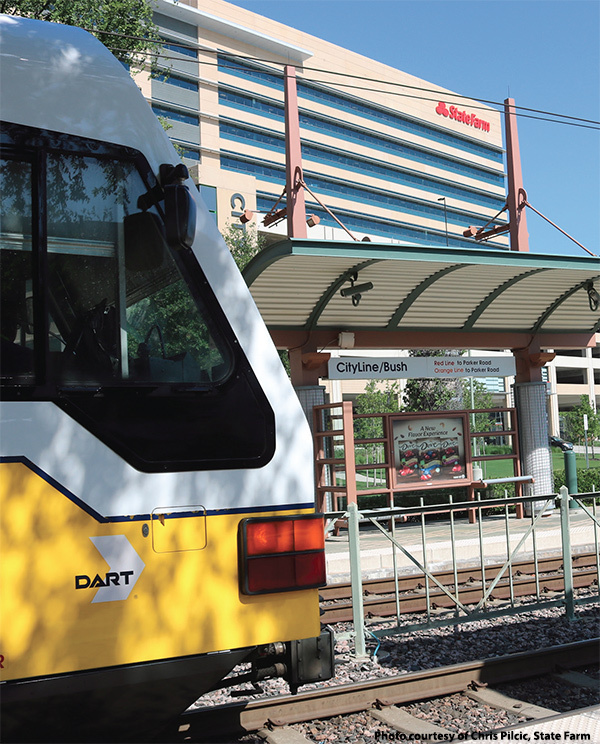 DART has contributed to more than $8 billion in growth for the North Texas region. An expanded rail network and more robust bus system will generate even more economic impact throughout the DART Service Area. Similar to the economic successes observed in the South Side and Cedars areas, DART brings commerce opportunities for businesses, career opportunities for job seekers, increased housing value for residents, and access for visitors to connect with new neighborhoods. This entry was posted in D2, Economic development. Bookmark the permalink. This will only benefit all if we revisit the old D2 plan and draw up subway plans downtown. Let’s be business savvy and do it right the first time!! !